The ballot measure process is simple, right? One citizen has a great idea about how to change our state. He or she gets a bunch of signatures, oodles of volunteers help out and BAM, the measure passes, democracy is served, and everyone is happy. Well, it’s not that simple. It’s a detailed process that amateurs likely long ago lost the ability to win on their own. Find some money: While the average citizen could run a ballot initiative campaign on a shoestring budget, it probably wouldn’t be successful. The cost of consultants, polling, campaigning and signature gathering is exorbitant — and yes, all that is necessary. Finding an average cost of a campaign is difficult because it really depends on the issue, the year and the strength of the opposition, but proponents of the water bond in 2014, for example, spent $19.5 million that year. And where does all that money go? To winning, hopefully. Step 1: The first thing a proponent needs is the law’s language. This could be done by the individual, but it’s best done by a lawyer. The Office of Legislative Counsel will also help as long as a few simple requirements are met. To get to the right language, several rounds of drafting the language and polling may have to occur. This is a time-consuming process, but it could mean the difference between success and failure. Step 2: Once the language is set, it’s submitted to the Attorney General to prepare a circulating title and summary. Oh, and there’s a filing fee, which was set high enough to weed out less serious ideas. The fee actually jumped from $200 to $2,000 this year in response to a failed idea that would have allowed the killing of homosexuals had it passed. But the fee is refunded if the initiative qualifies for the ballot within a certain period of time. The AG will then send the initiative to the Department of Finance and the Legislative Analyst’s Office for a fiscal estimate, which they have 50 days to prepare. Now there’s a 30-day public review process. Proponents can make amendments during this time, but the amendments need to be germane. But the more the idea is reworked, the more it’s susceptible to challenges. Gov. Jerry Brown’s criminal justice ballot measure, for example, drew a challenge last week over an amendment, according to The Sacramento Bee. And once the title and summary is issued, some more polling is probably a good idea. “Generally, the rule of thumb is if you come out of the gate with less than 60 percent, you should give up,” said Steve Maviglio, a Democratic strategist. Step 3: The petition must follow a certain format — or else. Step 4: Based on the summary date, the SOS will issue a calendar of deadlines. All the signatures must be gathered within 180 days from the official summary date, which also has to be done at least 131 days from the date of the general election. How many signatures are needed? It’s based on a percentage of the last gubernatorial election, 5 percent for statutes and 8 percent for constitutional amendments. 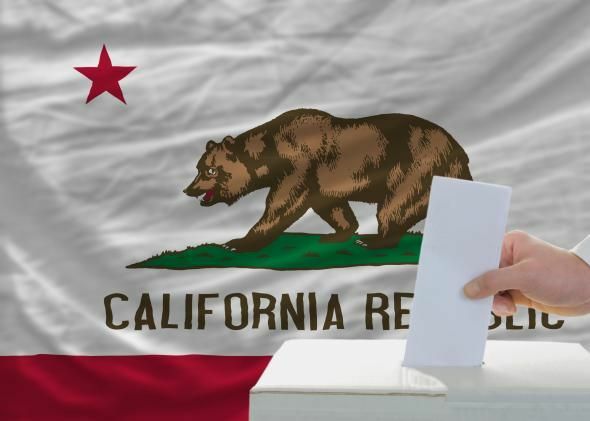 Because turnout was so low in 2014, the threshold for signatures is very low — that’s why there are so many initiative proposals currently trying to get on the November ballot. The cost of signature gathering is unpredictable, with reports of prices as high as $5 per signature. The cost increases as the deadline approaches, so it’s best to start early and hire a good signature gathering company. After the 25 percent mark has been reached, the SOS must be notified, which will in turn notify the Legislature. At this point, both chambers are required to assign the measure to the appropriate committees to hold joint public hearings. But the Legislature is not allowed to amend the measure or derail it. Instead of campaigning during the signature gathering process, it’s best to be building the foundation for the campaign. “Reaching out to coalitions, supporters, getting earned media, getting a strategy in place, getting endorsements, and get your opposition research if you can,” said Maviglio. Step 5: And it’s probably no surprise there’s all kinds of rules, provisions and timelines in the signature verification process. Once the required amount is reached, proponents turn the signatures in to the appropriate county officials. At this point, assuming the signatures check out, the initiative is eligible for the ballot (it’s technically not qualified for the ballot until the SOS deems it so on the 131st day prior to the election). And now the campaign starts — the most expensive part — where yard signs and media buys and consultants, etc., try to carry the measure over the finish line. “Submit the signatures, get a number and let the games begin,” said Maviglio. direct your reparations assemblies…..to the Yards,Pools and mansions of Hollywood. Movin’ on up with the Jefferson’s to the Kards place. to do a little ‘quality of life’ remodeling.